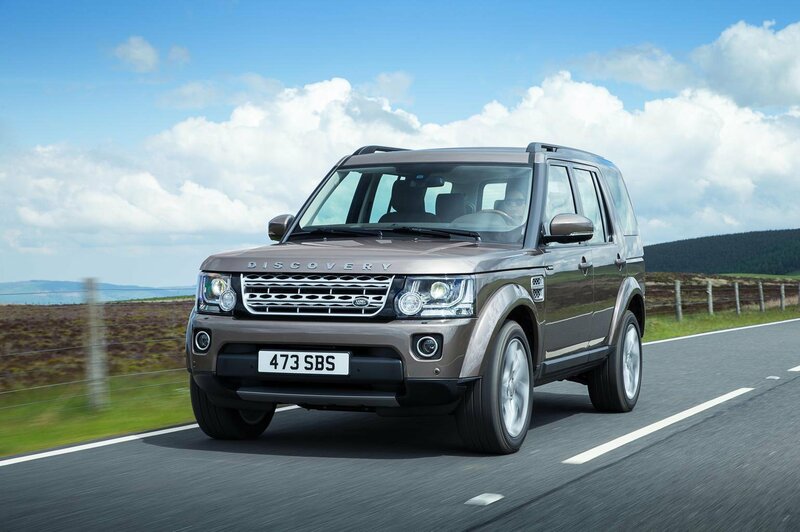 Land Rover Discovery updated for 2015 | What Car? The 25th anniversary edition of the Land Rover Discovery brings new options to entry-level cars, different colours and enhanced mobile phone connectivity options with dedicated apps. SE replaces GS as the new base model and now features cruise control, front foglights, auto lights and wipers, headlight washers, auto dimming rearview mirror, and new footwell and ‘puddle’ lights. SE Tech replaces mid spec XS trim and now has xenon headlights with LED running lights as standard. Top spec HSE variants now have 20-inch alloys instead of the original 19s. Land Rover’s InControl app system can be specified to supplement the Discovery’s infotainment system. Compatible with the latest smartphones, the suite of apps covers sat-nav, media streaming, internet radio and location services. Customers can also choose to specify a leather-wrapped steering wheel and Grand Black lacquer wood trim for the interior. New deep turquoise Aruba, mauve Kaikoura Stone and Montalcino Red paint finishes are also available. The new SE model is priced from £41,595, rising to £59,965 for top spec HSE Luxury versions.